Lions are the second largest big cat species in the world after tigers. Adults males can eat up to 88 pounds of meat in one sitting! That’s 44kg – How much do you weigh? 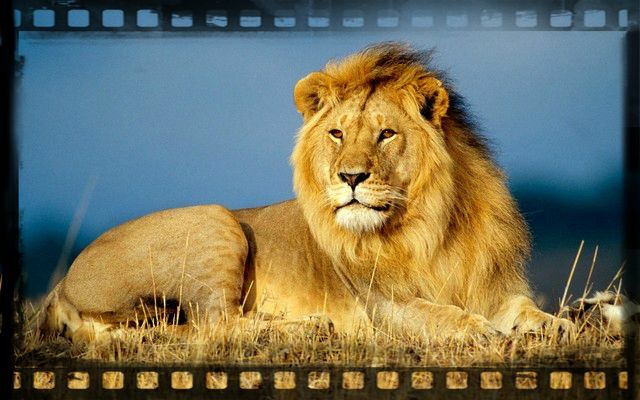 A lion’s roar can be heard from 8 kilometers (5.0 miles) away. Equipped with teeth that tear effortlessly through bone and tendon, lions can take down an animal as large as a bull giraffe. Once grabbed, the prey is subdued and suffocated with a quick neck bite or a sustained bite over the muzzle. How To Survive A Lion Attack: If you encounter a lion, never turn your back and try to run. That is a death warrant. Your best chance is to stand as still as possible, stretch out your arms to look as large as possible, and try to outface the lion! A crocodile can snap their jaws shut around prey within 50 milliseconds. Crocodiles have the strongest bite of any animal in the world.The muscles that open the jaws, however, aren’t so powerful. A reasonably strong person could hold a crocodile’s jaw closed with their bare hands! Each crocodile jaw has 24 teeth that are meant to grasp and crush, not chew. They swallow stones to grind food inside their stomachs. “Crying crocodile tears” – displaying fake sadness – comes from the myth that the reptiles weep when eating humans. They do wipe their eyes when feeding, but only because their eyes bubble and froth when eating. 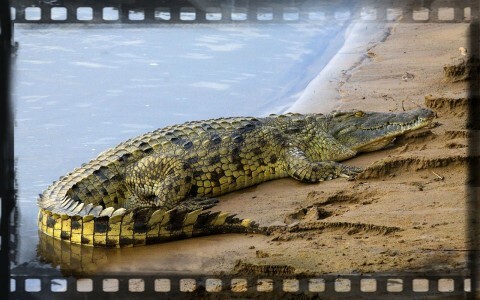 How To Survive A Crocodile Attack: Most victims never see the crocodile coming. If caught in its jaws, trying to pull free is usually futile and may induce the crocodile to go into an underwater death roll. The only hope of survival is to fight back. Hit or poke the eyes, the most vulnerable part of a crocodile’s body. If that fails, strike the nostrils or ears. As a last ditch attempt, go for the palatal valve – a flap of tissue behind the tongue that covers the crocodile’s throat and prevents the animal from drowning. If your arm is stuck in a crocodile’s mouth, you may be able to pry this valve down, water will then flow into the crocodile’s throat, and hopefully it will let you go. The fastest snake in the world, capable of moving at up to 19 km per hour for short distances. Its venom is highly toxic. Two drops of venom can kill a person and a mamba can have up to 20 drops in its fangs. 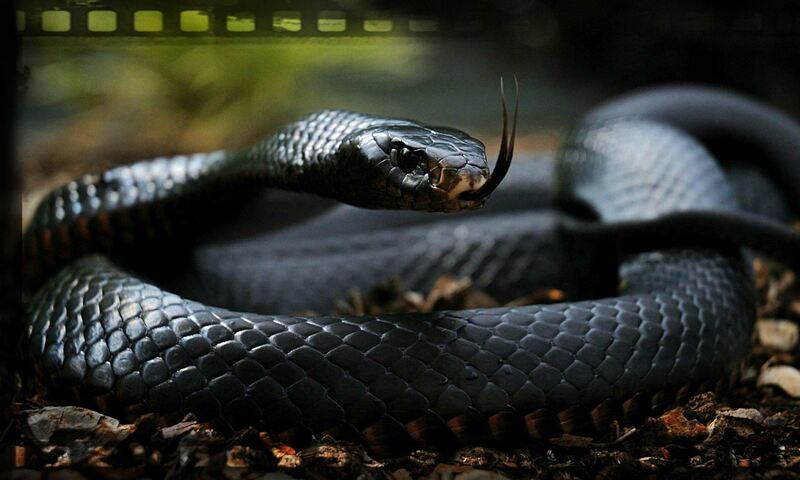 Black mambas get their name because of the black color inside their mouth (their bodies are usually olive brown). Easily identified by its length (2.4m average), slenderness, speed of movement and its coffin-shaped head. The black mamba has a reputation for being very aggressive. How To Survive A Black Mamba Attack: Untreated bites are fatal. Put a tourniquet above the puncture wound to slow the spread of poison and seek medical attention immediately. The sooner a person is treated after the bite with antidote, the better the chances of survival. Extremely aggressive if threatened, the hippo is responsible for more human fatalities in Africa than any other large animal. 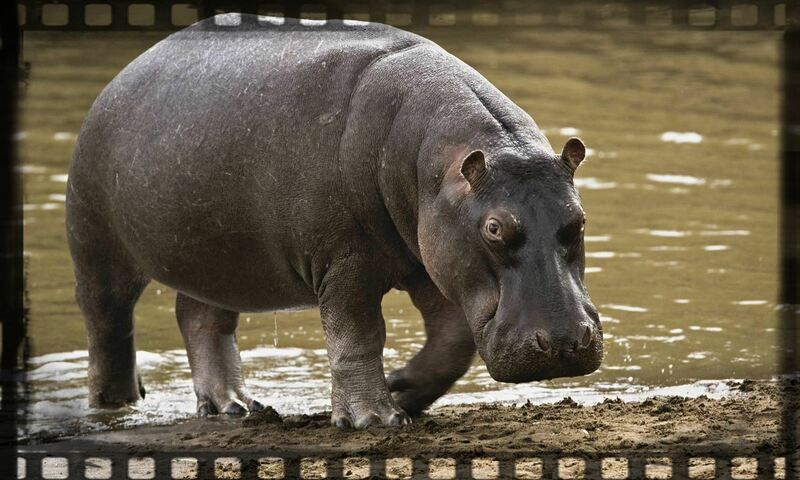 Hippos can easily outrun a human reaching up to 50km per hour. Most common threat display is the yawn, which is telling you to back off! An overheated hippo looks as if it is sweating blood as glands in its skin secrete a sticky red fluid that acts as a natural sunscreen. How To Survive A Hippo Attack: Never get between a hippo and water. It panics them and they charge. Most human deaths happen because people surprise hippos accidentally. 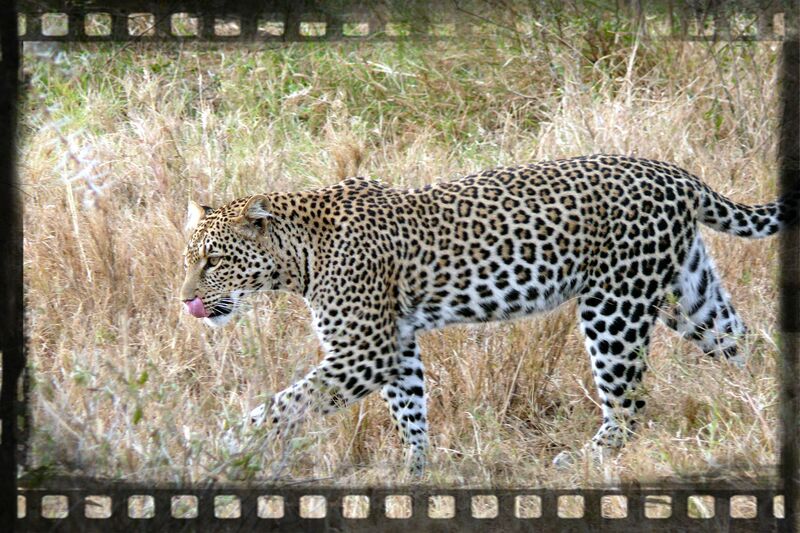 Built for hunting, leopards have sleek, powerful bodies and can run at speeds of up to 57km per hour. Leopards are also excellent swimmers, climbers and can jump long distances. Mostly nocturnal, leopards hunt prey at night. A common tactic is to leap out of trees onto their victim. Leopards protect their food from other animals by dragging it up into a tree. A male leopard can drag a carcass three times its own weight – including small giraffes – six metres up a tree! 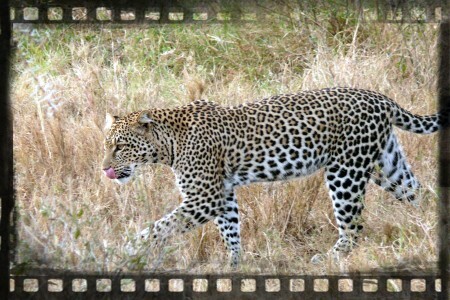 A leopard’s characteristic call is a deep rough cough, repeated 10 to 15 times, sounding like a saw cutting wood. An aggressive charge is heralded by 2 or 3 short coughs. How To Survive A Leopard Attack: You probably won’t! Chris Bradford is a true believer in ‘practising what you preach’. For his award-winning Young Samurai series, he trained in samurai swordmanship, karate, ninjutsu and earned his black belt in Zen Kyu Shin Taijutsu.